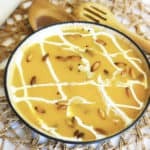 Pumpkin Coconut Soup. Pumpkin and Coconut are the perfect combination, and are delicious in this warm and comforting soup. Easy to prepare, it has a sweet and light flavor that you will make again and again. Great for the holiday table! Vegan, gluten free and dairy free. 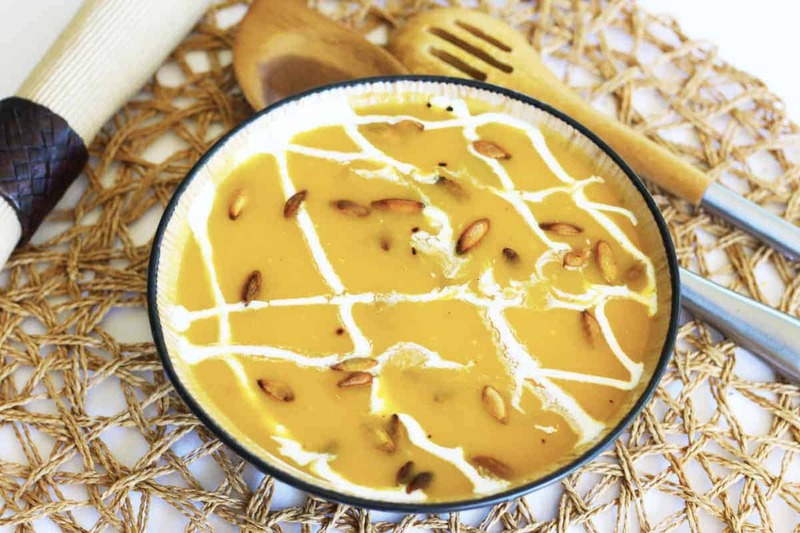 Pumpkin Coconut Soup. Warm comfort food. Add 1/4 cup soup to separate cup with coconut flour. Mix until smooth and add to soup to thicken. Cook on medium heat for 2 minutes until flour completely mixed. Remove from heat and let soup cool. With hand mixer, puree soup to your desired consistency.